The Double-Sword is a powerful blade created a long time ago in the Silver Realm. It has been designed to combine the scope of a spear and the cutting edge of a sword. With fitted blades on each end this staff, in the hands of an expert, is most devastating. The King Hadrian of Silver and his lieutenant Onyx of Emerald have made the demonstration more than once in the battlefield, both during the first war and the second against the Black Emperor. It is also this combat technique that was taught to Kira by King Hadrian’s ghost. 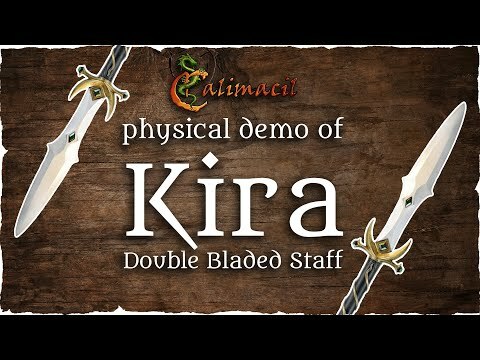 Until now, only three Knights of Emerald can handle with ease the Double-Sword. Are you ready to meet the challenge and learn this style of combat and maybe measure up to one of these three masters of blades?